Q: What’s the difference between the towers in Seattle shown above, and the towers in Vancouver BC shown below? In Seattle, the cult of the individual is reflected in how each tower seems to be trying to take every bit of space it can possibly fill. But when everyone does that, everyone loses in the end. In Vancouver, the spirit of collaboration is reflected in how the towers are willing to pull back and give away a little, creating a better outcome for both the individual tower and for the collective. Photo of towers in Seattle’s Denny Triangle by the author. 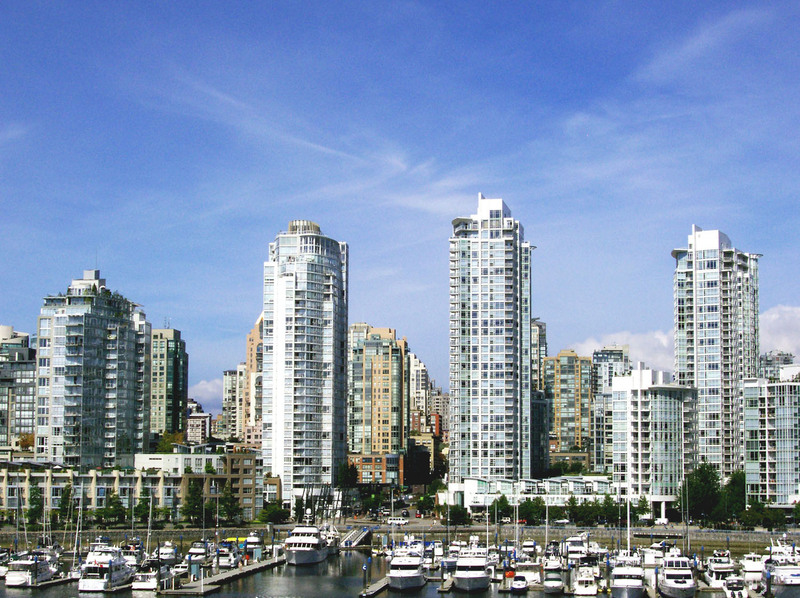 Photo of towers in Vancouver’s Marinaside Crescent by Matt Roewe. This post is part of a series. Frank, this post was mainly about tower spacing, but if you’re interested you should take a look at some aerial images of Vancouver. I think you’ll find that the City has also done an exceptional job of preserving public access to the waterfront on False Creek. I’m with Frank. I see the highrise equivalent of tract housing. Also, I believe the first set of buildings are mostly offices, which benefit from a larger floorplan. The second set look like housing, which do better with a narrow floorplan (more windows per unit). 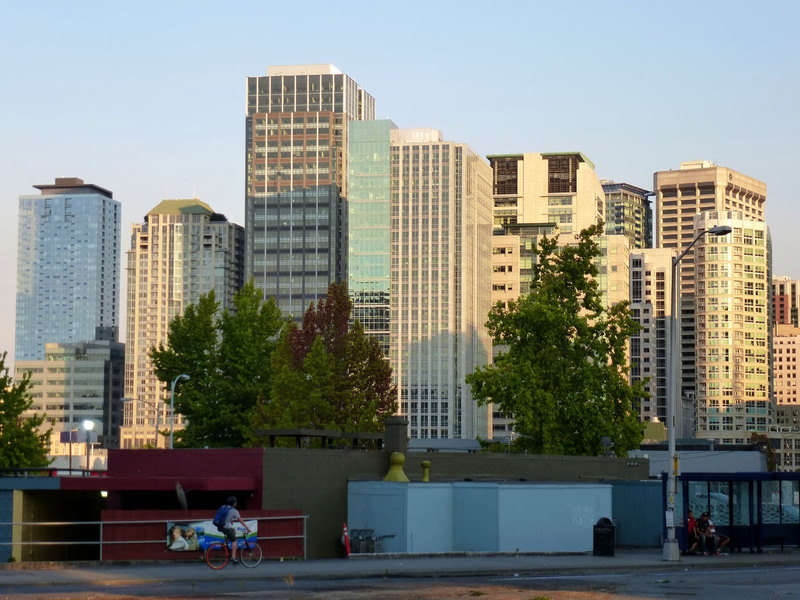 The foreground in the Seattle photo is much uglier. And that’s not an anomaly, but gets back to your point about collaboration and a generally higher level of urban design.
? The foreground in Vancouver is waterfront. Surely you’re not proposing we fill the Denny Triangle with water? I guess I tend to agree w/ Frank & Matt’s point about uniformity, but Dan’s point still stands more important for me. 3rd Ave downtown from Cherry’ish to Union’ish exemplifies. I might vote for that stretch as the worst part of Seattle. What’s the math on how much higher such a roomy style needs to get to in order to achieve/maintain a similar density as the crowded style? Or, what magnitude of reduction in living space footprint?